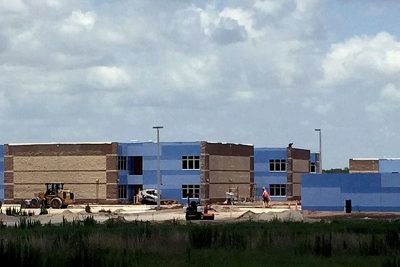 When the 2017-2018 school year begins Aug. 10, hundreds of kids from the Riverview area will have new digs. That’s when the doors of Warren Hope Dawson Elementary, Hillsborough County’s only new public school this year, will open for the first time. The $20-million facility, paid for through impact fees, is being built to alleviate crowding at nearby schools and accommodate future needs in a region of burgeoning growth. In addition to new enrollees and School Choice transfers, Dawson will draw students from Collins, Boyette Springs, Sessums, Stowers and Summerfield elementary schools. It is expected to open with about 450 students in grades pre-K to 5 and will enroll 950 at capacity. “We will be implementing Conscious Discipline, a program I introduced at Summerfield (Elementary),” said Derrick McLaughlin, Dawson’s opening principal. “Its focus is about building a school family based on relationships of respect and self-discipline between teachers, students and all staff members. McLaughlin, 37, added that teachers will be trained year-round to lead the way for the students. “Our vision is building hope for our future, one child at a time,” he said. 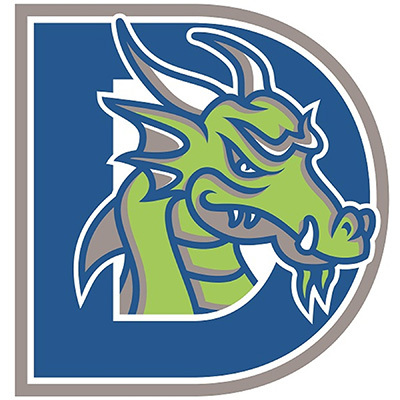 Dawson Elementary School’s logo/mascot image was designed by Chip Stites and voted on by incoming students, who had the choice of an eagle, bulldog or dragon. 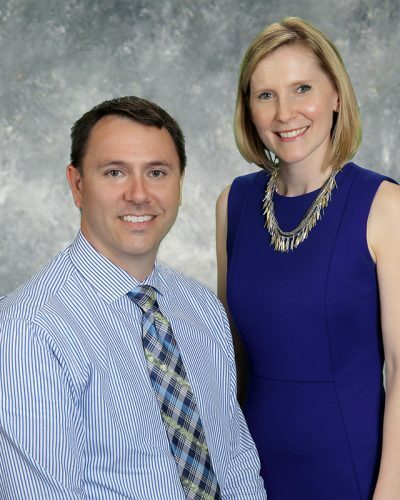 At the moment, McLaughlin and Assistant Principal Ashley Wiese, 32, are attending to the plethora of details involved in opening a new school. They’ve been conducting interviews for teacher and staff positions and will start out with 56 employees, including 30 teachers who are experienced and highly rated. Both know their choices will be far-reaching. “In addition to making decisions as administrators, we’re making them as a mom and a dad,” said Wiese, noting her youngsters, as well as McLaughlin’s, will attend Dawson. “We know every decision we make will impact our own children as it does every other child in the school,” McLaughlin said. 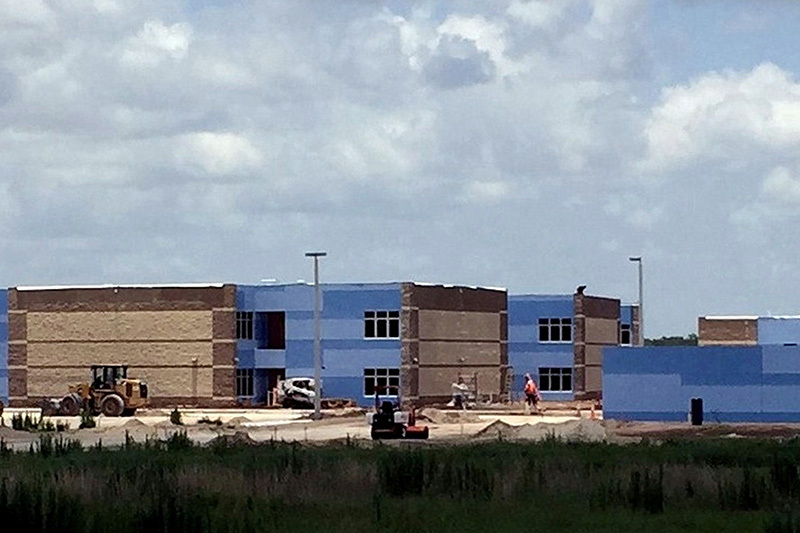 At almost 100,000 square feet, Dawson Elementary School will have 48,810-square-foot, carpeted classrooms; 3,418-square-foot media center; cafeteria, stage and commercial kitchen; and rooms for music and art. It will feature two playgrounds; two courts; polished-concrete floors; a covered bus ramp; two clinics; electronic security; state-of-the-art morning show room; central courtyard; and a wireless campus accommodating mobile computer labs with laptops provided to students for classroom use. The school is named after Warren Hope Dawson, 77, a practicing Tampa attorney who specializes in civil rights and labor relations. Dawson earned an undergraduate degree from Florida A&M University, served in the U.S. Army from 1961 to 1963 and graduated with a law degree from Howard University three years later. In 1974 and for 27 years thereafter, he championed desegregation of the public-school system in Hillsborough County. Dawson Elementary is located on 15 acres south of Big Bend Road and east of Balm Riverview Road at 12961 Boggy Creek Drive, Riverview, in the community of Triple Creek. McLaughlin and Wiese are presently working in a temporary trailer at 12403 Triple Creek Blvd. and are looking for business/community partners willing to volunteer, donate teacher supplies or get involved in school activities. You can reach them at 813-442-7396 or via e-mail at derrick.mclaughlin@sdhc.k12.fl.us or ashley.wiese@sdhc.k12.fl.us. For additional information on the school as opening day approaches, visit dawson.mysdhc.org or www.facebook.com/HCPSDawson.